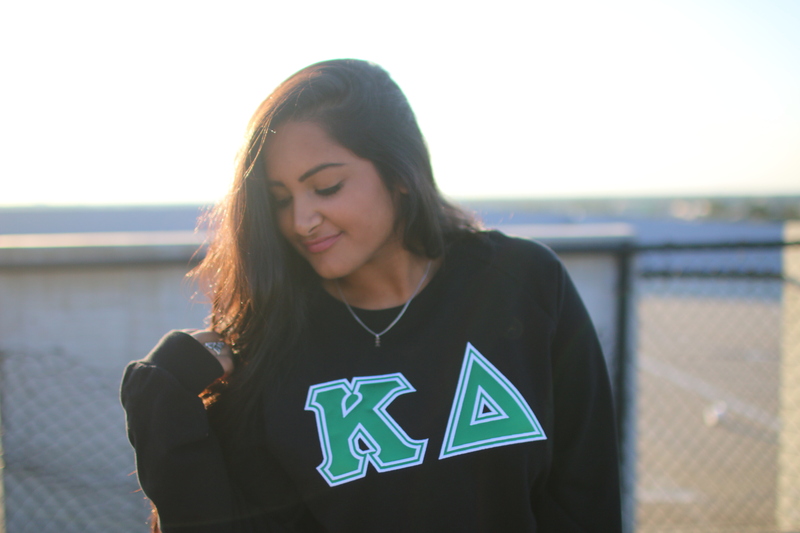 Ever since I have officially been initiated into the Kappa Delta sisterhood, I have been loving to wear my letters! This sweatshirt that I am wearing is literally the most comfy and soft sweatshirt. 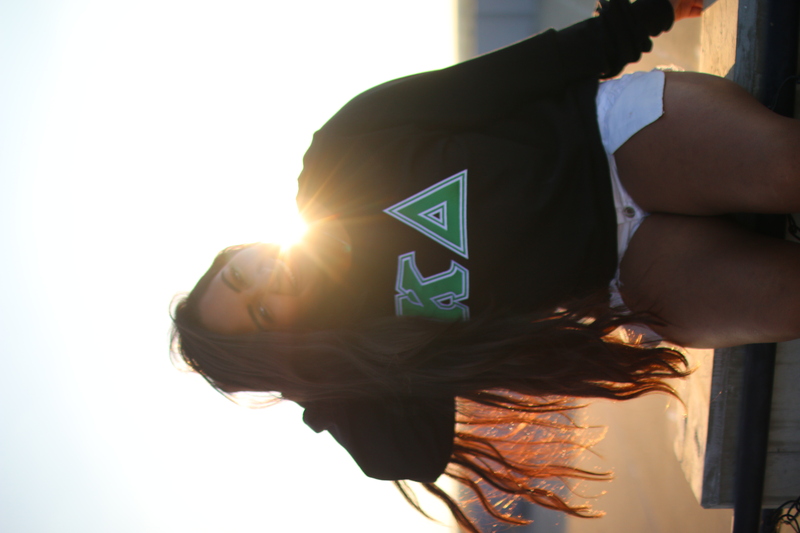 It is from Greek Life Threads and I think its so cute how it is so simple! The specific style I picked was the American Apparel Crewneck! This company is actually Greek Licensed which means their quality is top notch! I honestly thought, when I picked the sweatshirt out, that it would be a really thick sweatshirt, but it turned out to be thinner. But now that I think of it, I love how it is thin because its perfect for a chill Fall day, and not to mention it is super easy to throw in your backpack for class or to pack in your carryon for a flight! I wore it on the plane and to dinner last night! I actually went to Cheesecake Factory (I felt incredibly under dressed) and I saw a friend that used to go to my high school, mind you this was 50 minutes away from my house! She actually noticed me because of my KD letters because she is one too! 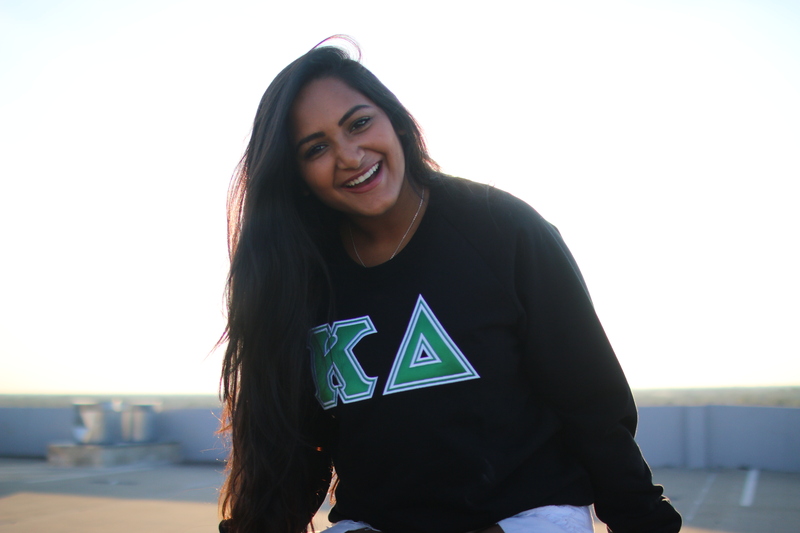 If you’re looking for big/ little gifts or just a company to make group orders for your sorority or fraternity, check out Greek Life Threads! They have free shipping on group orders which is a life saver because we all know how much shipping can get! AND they have rush production available, so if you’re needing shirts for a last minute philanthropy event, they got you covered!